Last week saw the Paris runaways awash with clothes that us mere mortals can only ever dream of owning (although some were a little "out there" even for us!). Haute Couture shows exhibited the finest the fashion world has to offer, with Karl Lagerfeld holding court in a spectacular Chanel-themed casino in the middle of the Grand Palais and Fendi staging its debut couture show - as always, it was a week to remember. 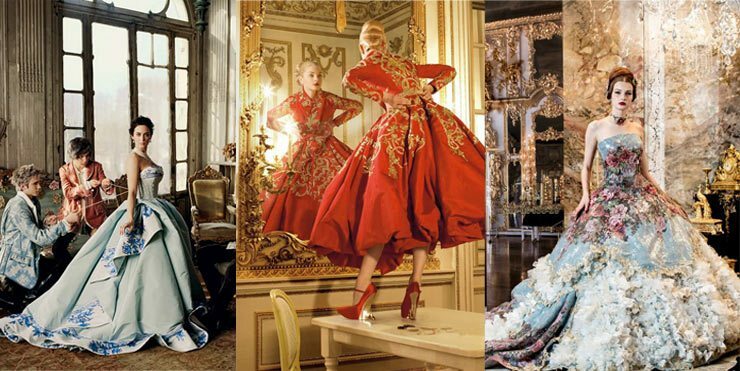 But regardless of opinions regarding Haute Couture's relevance to the fashion world and the often asked question: "who's actaully buying it?" we can't help but explore the origins of couture as it was an Englishman in Paris, Charles Frederick Worth, who is credited with being the father of haute couture - in the same way our very own Englishwoman was inspired by her love of all things Parisian when creating The French Bedroom Company. To be labelled as haute couture the garments must be completely handmade and, in modern fashion, can only be considered such if the fashion house meet certain well-defined standards set by the now legally protected term of haute couture. Literally meaning "high sewing" or "high dressmaking", haute couture refers to the creation of exclusive, custom fitted garments; often crafted from rare, fine and usually expensive fabrics with extreme attention to detail and using time-consuming, artisanal hand techniques. We've paired some of our favourite couture pieces from last week's shows with our very own French, hand crafted items. 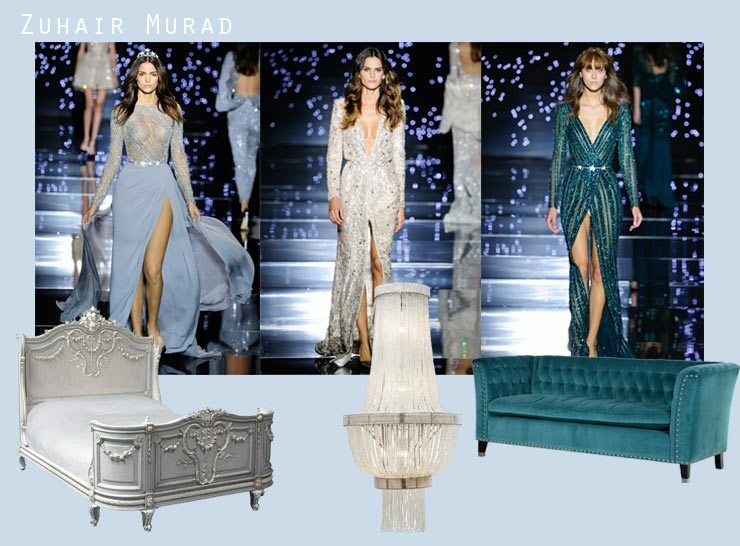 We were mesmerised by the beautiful, shimmering dresses sashaying down the Zuhair Murad catwalk - they were classically striking creations in a host of bold colours, whilst maintaining an ethereal feminine feel. 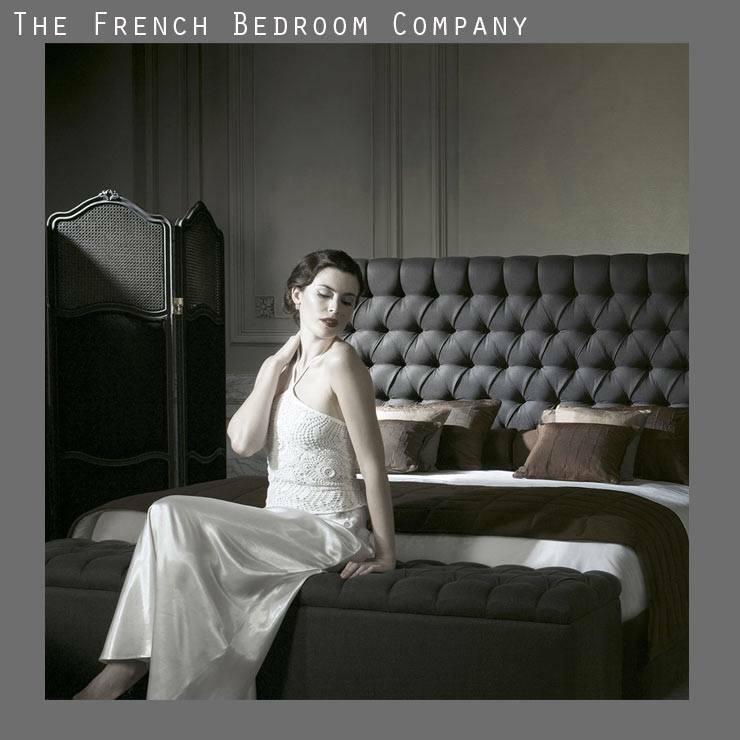 Bonaparte French Bed, from £2570; Chantilly Chandelier, £799; Nightingale Sofa, £1525. 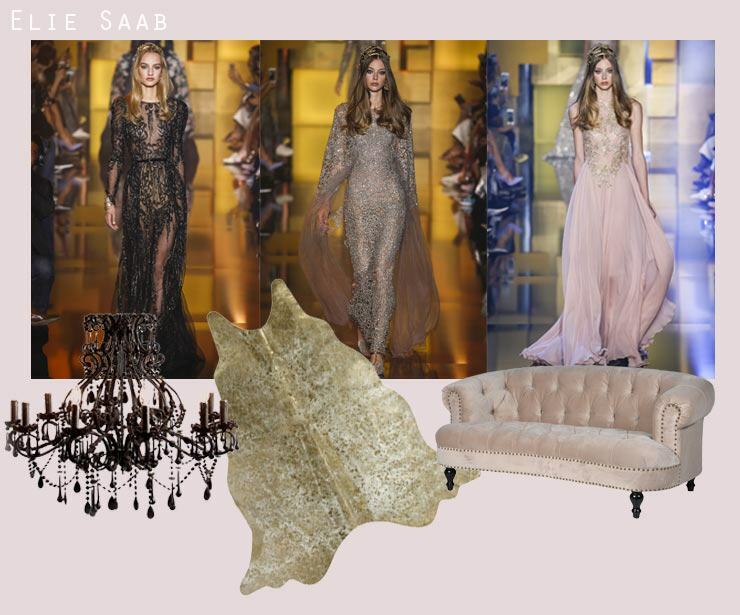 Needless of introduction, one of our favourite couture shows came from the effortless regal styling of Eli Saab. Large Black Chandelier, £495; Glamour Gold Cowhide, £440; Chablis & Roses Sofa, from £1120. The appeal behind haute couture for the fotunate clients able to access such an elite world is the fact that their item will be bespoke for them and they can rest assured knowing that the higest levels of craftmanship have been employed. The same can be said for our customers choosing some of our customisable items such as our Residence Headboard, available in a plethora of materials and various colours to suit your bedroom scheme. It is quite often said that haute couture garments do not have a price-tag, due to their "no-budget" ethos - luckily, our items are handcrafted from quality materials just like the clothes displayed last week in Paris but they do have a price-tag!